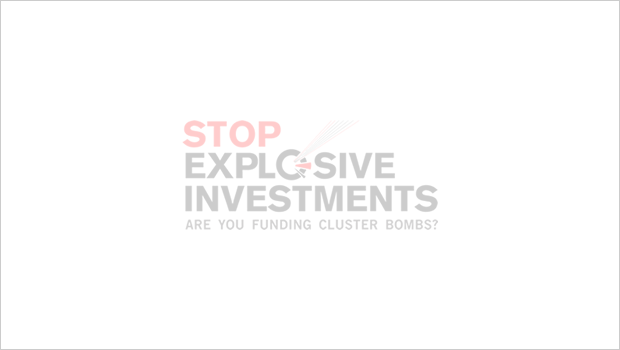 Since the Stop Explosive Investments campaign started in 2009, Singapore Technologies Engineering (STE) has been on the short list of cluster munition producers in the Worldwide Investments report by Cluster Munition Coalition member PAX. 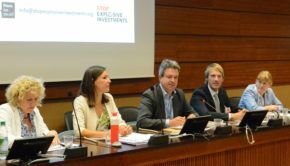 Six years after the start of the disinvestment campaign, the CEO from STE has now informed us through a letter that after often having been asked by the investor community, STE “is now no longer in the business of designing, producing and selling of anti-personnel mines and cluster munitions or any related key components”. The decision is published on their website here. “We see that the norm established by the international treaties is expanding well beyond States Parties to these treaties, not least because more and more financial institutions no longer want to invest in companies that produce anti-personnel mines and cluster bombs. It is now time for Singapore to join the treaties that ban these weapons for good.” Said Roos Boer, policy advisor Security and Disarmament from PAX. 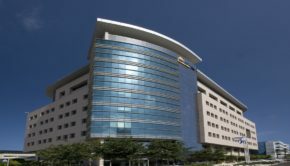 STE is one of the largest arms producers in Asia. Singapore Technologies Kinetics, which is the land systems arm of STE previously produced at least two version of the 155 mm High-Explosive (HE) Dual Purpose-Improved Conventional Munitions (DPICM). These are cluster munitions containing 64 submissions with a mechanical self-destruct fuze. 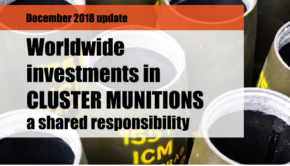 Since the launch of the Stop Explosive Investments campaign dozens of financial institutions have installed policies to disinvest from cluster munition producers, and 10 states have legislation to prohibit such investments. The next “Worldwide investment in cluster munitions; a shared responsibility” report by PAX is scheduled for 2016.